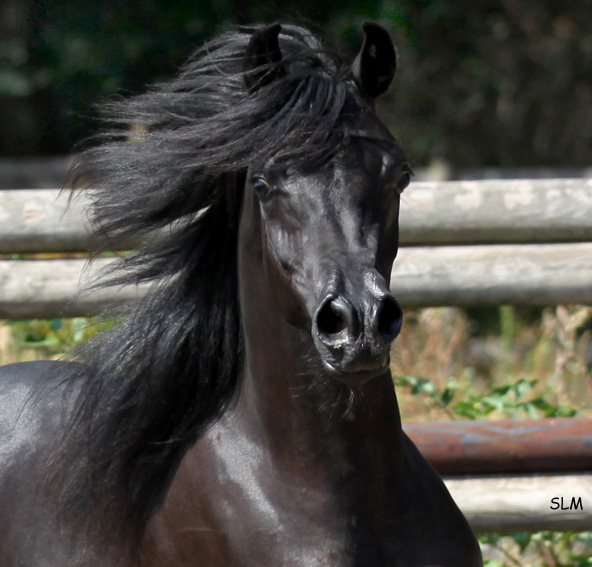 out of Om El Bacara Dream (Dreamcatcher SMF x Om El Bandeira, by Sharem El Sheikh). She's pretty, tall & sassy - we are over the moon! 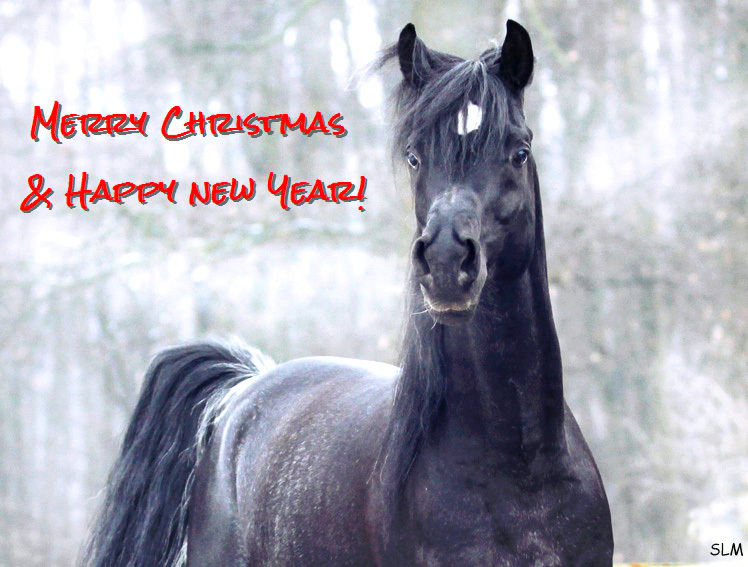 Wishing everyone a Merry Christmas and a fabulous & Happy New Year!! Our yearling colt Beldivo Estopa SLM is growing up. 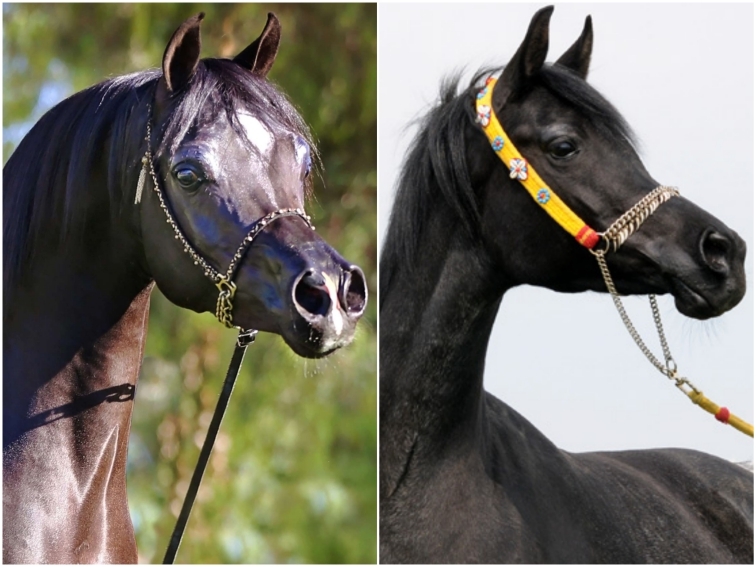 mare Belladiva Estopa SLM (Al Ayal AA x Om El Bediya Dream), he truly has it all. Beldivo is stunningly beautiful, athletic, with an ultra exotic face and huge eyes. Being double The Vision HG and double Estopa, he is a genetic powerhouse! Magic Magnifique (True Colours x Magic Mon Amour) for a late March baby. 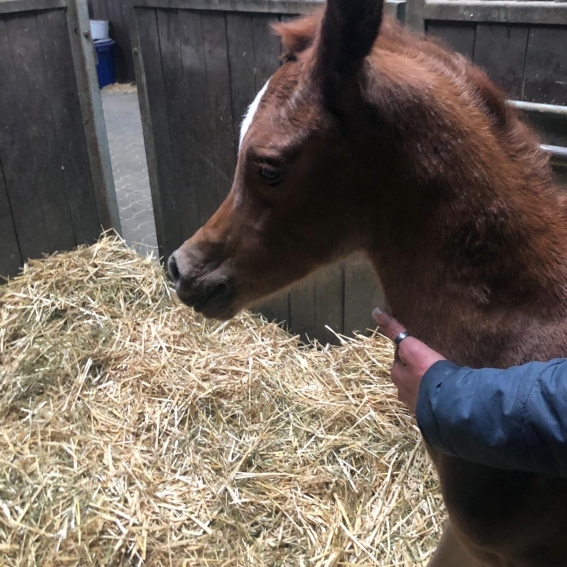 We can't wait to see this foal!! 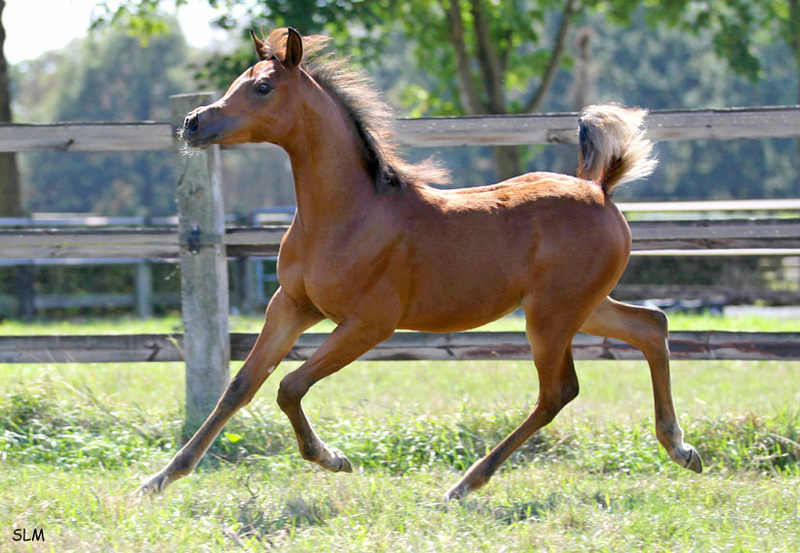 Presenting Belladea Estopa SLM , bay filly, at 3 months of age. Om El Bediya Dream (Dreamcatcher SMF x Om El Beneera). We are very happy to have another little gem from this cross!